Summer is in full swing, even if the regular down pours and thunder storms make it seem otherwise. The music festivals have started, kids are getting excited for the end of term and we are looking forward to that long awaited summer holiday. Whether you’re jetting off on a beach holiday full of sun, sea and sand or if you’re off to explore the cities (and their cocktails lists), we have a couple of travel pieces that have been designed to make your holiday just that little bit easier. 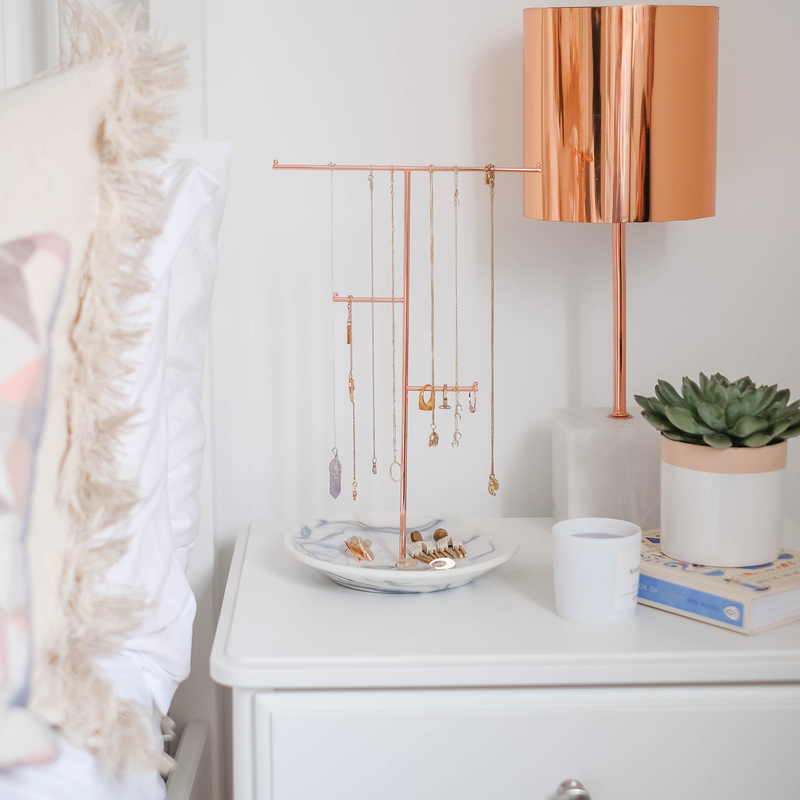 You may have seen we recently released a video featuring our Stackers Jewellery Wrap, if you haven’t seen it yet then you can have a look here. The Stackers Jewellery Wrap is perfect for those who love to travel with accessories and have different pieces of jewellery for each outfit. The Stackers Jewellery Wrap is widely customisable. 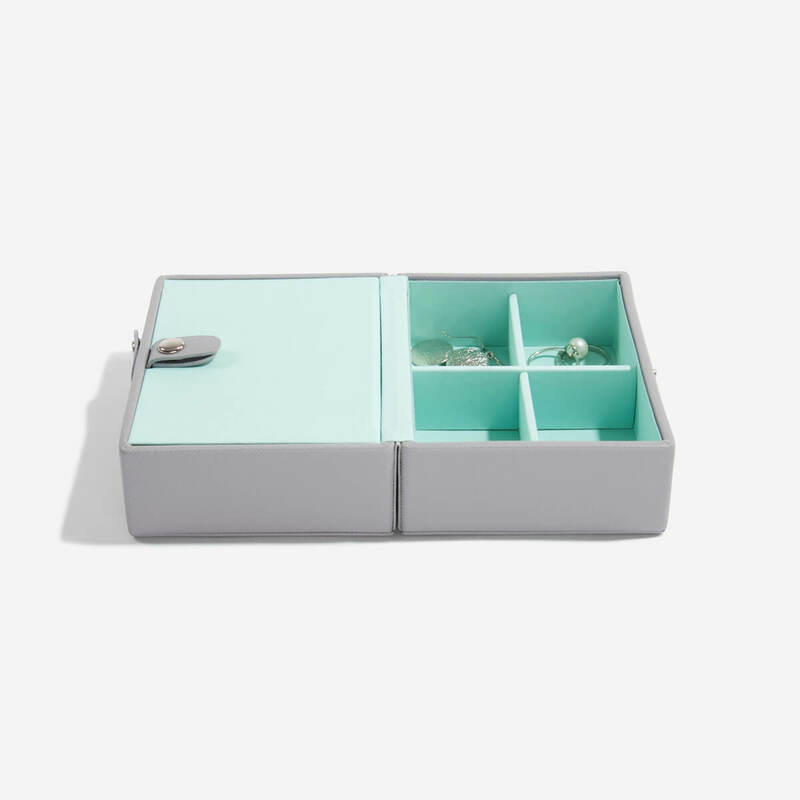 You are able to move the interior elements to suit your jewellery and buy more when needed! 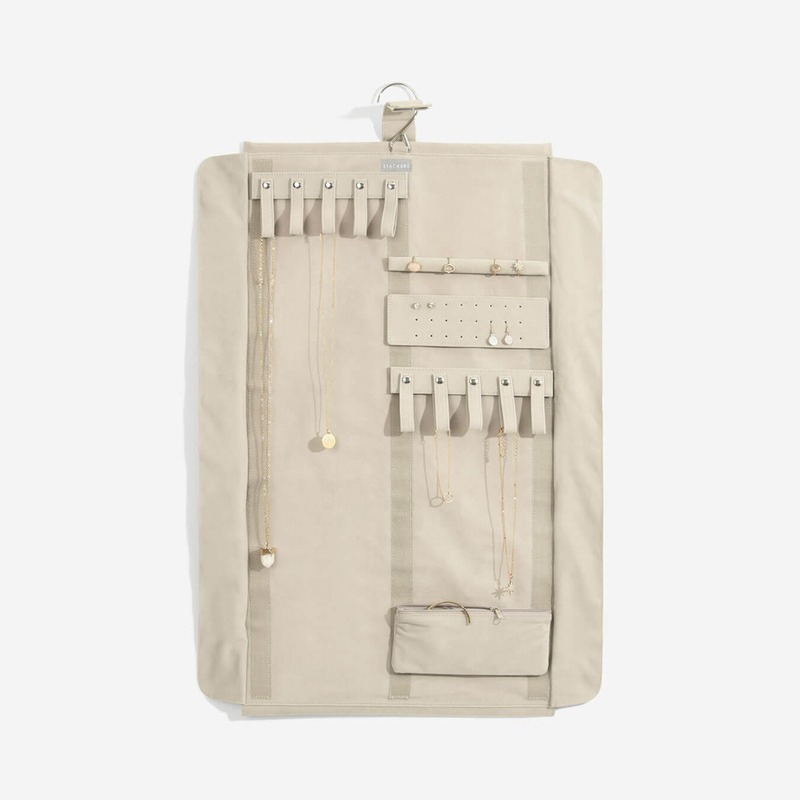 Hang it up at home for instant access, and then simply roll it up to keep your jewellery stashed safe when on the go. 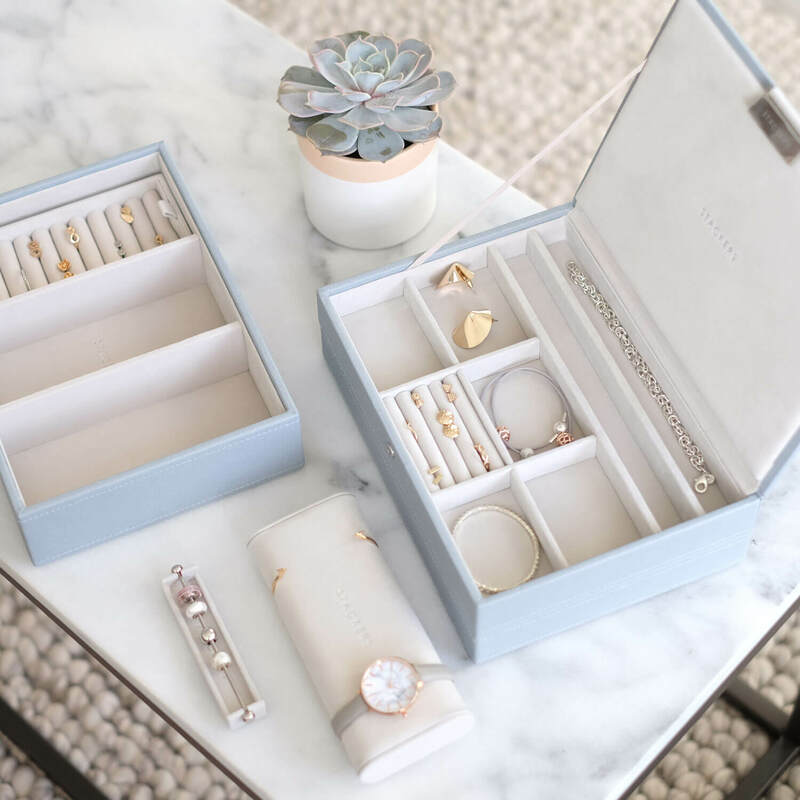 If like me however you’re someone who just likes to take her most important pieces with you we have the Stackers Travel Jewellery Box. Suitable for earrings, charms, bracelets and most types of fine jewellery. It is small and compact meaning it is perfect for carry on luggage keeping it safe at all times, plus there is the added bonus of this fitting into your hotel safe. Enjoy your holidays & make sure to take a snap of our Stackers travel accessories traveling round the world with you using #mystackers.